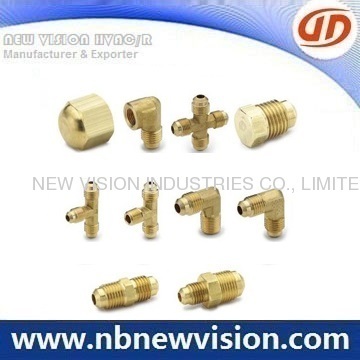 We offer a wide range of brass flare fittings in competitive price & top quality, like brass flare unions, connector, tee, elbow and adapter.Available thread for BSPT, NPT, ZG, BSP and so.Welceome any enquiry for OEM and drawing reqest from home and abroad customers. 1. 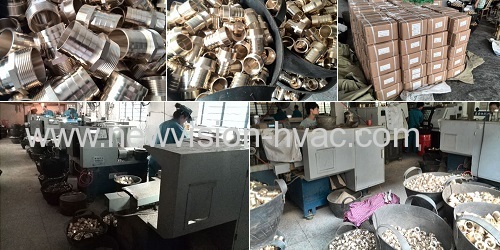 More than 20 years experience in producing brass flare fittings. 2. Technology: forging, cnc machining, casting, cutting, plating, polishing, sand blasting. 3. Application: Connecting for copper tube, ppr pipe, cpvc pipe, pex-al-pex pipe, pex pipe etc. 4. Used for gas, water, drinking water, plumbing system etc. 5. 100% leakage test before making delivery. 6. Surface: yellow brass color, nickel plated, chrome plated. 7. Material: brass, bronze, copper, s.s. etc. 8. Connection: male, female, coupling, union etc. 9. RoHS, CE standard approval. 10.OEM request welcome as per the drawing or sample. In case of more details about similar brass flare fittings, welcome to let us know any time and the reply would be made in 24 hours.